Fixing holes with stripped or damaged threads in metal surfaces can be time consuming and frustrating, especially if you don’t have the right tools. 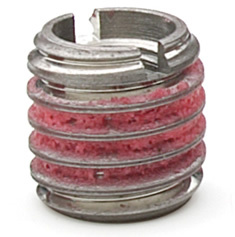 E-Z LOK™ (Solid Wall) self-locking inserts for metal install easily to repair or reinforce threaded holes. Simply drill, tap, and thread in like an ordinary fastener—no special taps or installation tools needed. Available in 303 and 316 stainless steel, these stainless steel inserts are ideal for applications requiring additional corrosion resistance, as well as food, beverage, and other clean-critical applications. Both 303 and 316 stainless threaded inserts are available in convenient assortment kits. With a range of sizes on hand, you’ll be ready the next time a threaded hole needs repair. Request a quote on stainless steel inserts for metal materials, or contact E-Z LOK for more information. 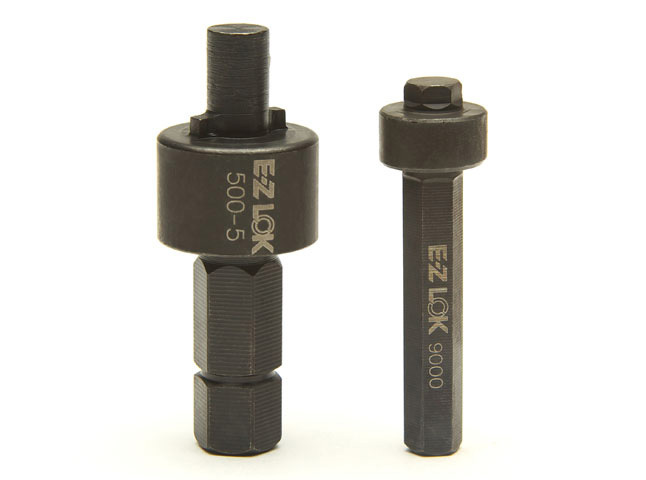 E-Z LOK 303 and 316 stainless threaded inserts are self-locking. Pre-applied LOCTITE™ on the inserts’ external threads begins to set immediately upon installation and sets in minutes. At full cure (72 hours), the Loctite will seal against liquids and gases to pressures up to 6,000 psi.